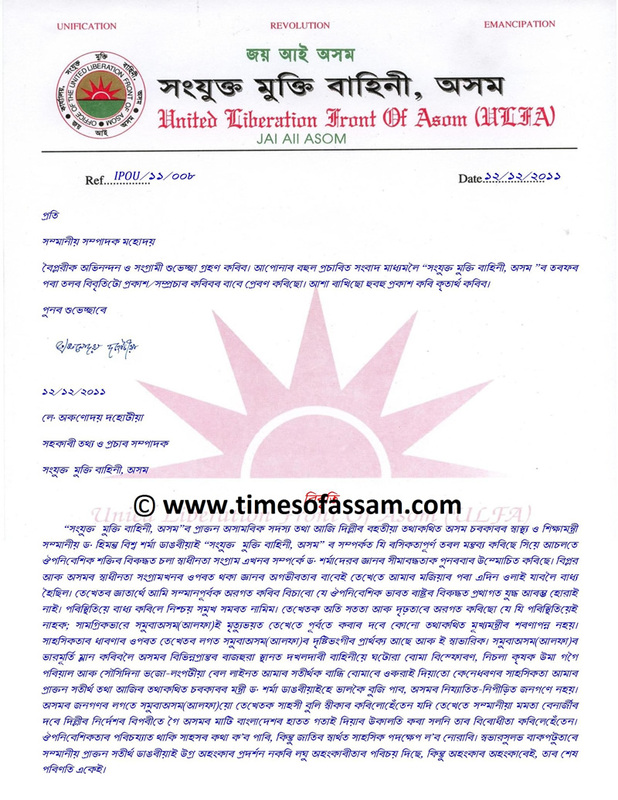 The hardliner faction of United Liberation Front of Asom (ULFA) claimed that Assam Health and Education Minister Himanta Biswa Sarma was once an over ground member of the outfit. In a press release sent to Times of Assam, the publicity commander of the hardliner faction, Arunodoy Dohotiya stated that Himanta Biswa Sarma was a member of the political wing of the ULFA however had quit the outfit due of his inadequate knowledge. The press release from the ULFA went on to claim that the Minister had once bowed down before a previous Chief Minister fearing threat to his life and now he is supporting Indian colonialism by giving a blind eye to harassment and killing of innocents in the hands of Indian Occupational forces. The outfit further criticized for not opposing to handling over of Assam’s land to Bangladesh and dared him to introduce Geography and state History as compulsory subjects in school curriculum of the state, as it would be something against the intentions of Indian rulers. On the other hand, reacting to the ULFA claim, Minister Himanta Biswa Sarma said that it was a political ploy against him and asked why the outfit had never revealed this during the last 15 years. On a parallel move, the Krishak Mukti Sangram Samiti (KMSS) claimed that ULFA’s claim that Minister Himanta Biswa Sarma was once their cadre is true and that the minister has been involved in various fund raising and extortion for the outfit in the past. The Bharatiya Janata Party (BJP) has also made a hue and cry about the issue and has demanded immediate resignation of the Minister and a special investigation into the matter. It can be mentioned that Himanta Biswa Sharma is widely claimed to have come to limelight using the power chords of the ULFA in early nineties. He is claimed to have not only helped the outfit with collection of funds but actively participated in threatening people for extortion of money. He himself had agreed to some of his crimes committed during those days when charged in an extortion case at Jyoti Nagar, Guwahati. In fact last year KMSS General Secretary Akhil Gogoi disclosed two such case diaries lost from Police Station long ago.